Running Diablo II on Windows 10 can be a little problematic so here is a quick guide to help smooth things out. This is an update to an earlier post that showed how to run Diablo II on Windows 8. Most of the the information here should carry over to Windows 10 quite well. If you run into any issues, please comment below so that the community or myself can help you out. This quick “how to” assumes that you have already installed and patched the latest version of Diablo II LOD on your system. If you need patch information you can obtain it through Blizzard’s official patch site. Here are the steps to take to remove lag and other strange issues with Diablo II LOD on Windows 10. Before launching the game, right click on the game’s shortcut and select “Properties”, then select the “Compatibility” tab. Once you dial in these settings click Apply and then OK. 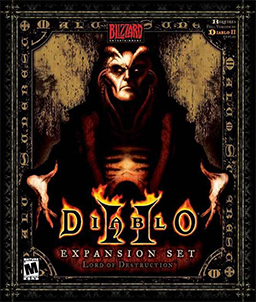 The next step is crucial if you want to reduce or eliminate all of the glitching and lagging that is known to plague Diablo II LOD on Windows 10. Obtain a 3DFX Glide Wrapper, this is a little application that will allow you to use the Glide interface with Diablo II LOD. I have found that GLIDE3-to-OpenGL Wrapper by Sven Labusch seems to work the best out of any I have tried so far. Download the files from Sven’s site and read the “ReadMe.txt” file. This will contain the most current instructions for installing and setting up the wrapper. Be sure to re-run the video test after the wrapper is installed and set it to use Glide. That’s it! Hopefully you will be successful in your attempts to get Diablo running smooth. Just follow the directions closely and have fun! Make some awesome LEGO gummy candy to snack on and build with by following instructions in this cool video. You can make the LEGO blocks any flavor or color you want and the best part is you will be able to actually build something with them. This small kitchen project is easy and if you have kids, this will make a great summer project that they will enjoy making as much as eating.